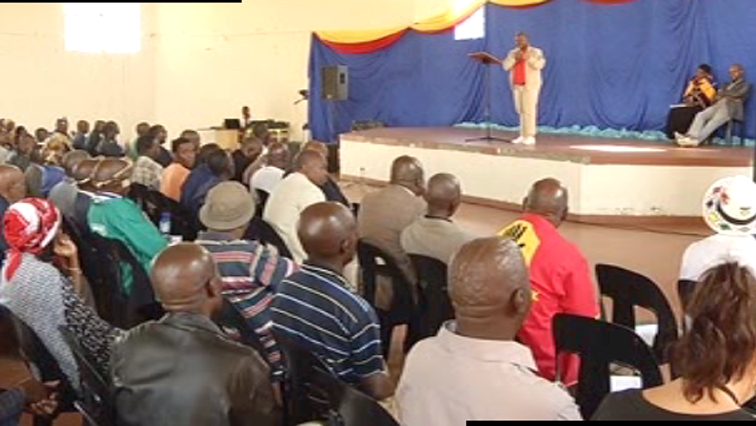 Ndebele community feels their efforts against apartheid not recognised - SABC News - Breaking news, special reports, world, business, sport coverage of all South African current events. Africa's news leader. The KwaNdebele Community spent the day commemorating the 1986 uprising against independence, for the first time ever. The Ndebele community in Mpumalanga feels their role in the struggle against apartheid has not been recognised. They commemorated the communities uprising against the Apartheid government’s enforced independence in 1986. More than 100 people died 32 years ago during the uprisings. The KwaNdebele Community spent the day commemorating the 1986 uprising against independence for the first time ever. The community was split in two with the Apartheid government trying to force independence on the community. Many here feel the Ndebele people have not received any recognition for the role they played in the fight against apartheid. They’ve called for both the provincial and national government to hold an annual commemoration of the 1986 uprising. Meanwhile, the Human Rights Commission says many people also disappeared during the uprising and their families still do not know what happened to them. The Apartheid government created homelands in South Africa, to move the majority of the Black population. They were prohibited from living in the urban areas of South Africa. They started giving the homelands independence in order to stop supporting them economically. And while, the KwaNdebele Community in Emthambothini feel their efforts against apartheid has been forgotten, they say, this has not stopped them from celebrating their contribution to democracy. This entry was posted on 12 May 2018,09:43PM at 9:43 PM and is filed under South Africa, News, Homepage Latest Stories Slider. You can follow any responses to this entry through the RSS 2.0 feed. Both comments and pings are currently closed.